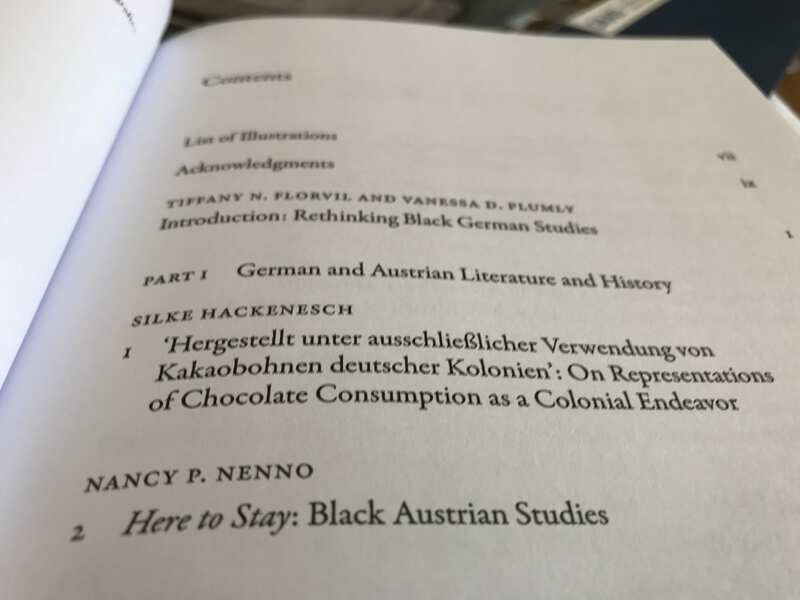 Congratulations to Dr. Nancy Nenno, whose article “Black Austrian Studies: Here to Stay” just appeared in the book Rethinking Black German Studies. Approaches, interventions and Histories. with Peter Lang press. The volume’s editors, Tiffany N. Florvil and Vanessa D. Plumly, summarize her article in their introduction: “Nancy P. Nenno uses her chapter to probe Black German Studies as strictly limited to the confines of Germany’s national borders. In her piece, she brings the oft-overlooked Black Austrian Diaspora into the broader picture and reinserts Black Austrian individuals, their bodies and voices into historical narratives in the process. 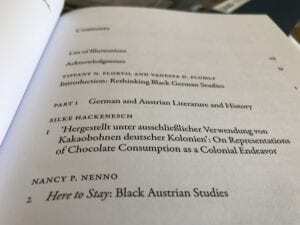 Nenno traces the lineage of Black Austrians in the Habsburg Empire to the present day, providing a cohesive introduction to their activism that has intently sought to bring Blackness in the Austrian context to light and to counter existing historical narratives that have all but erased their presence. 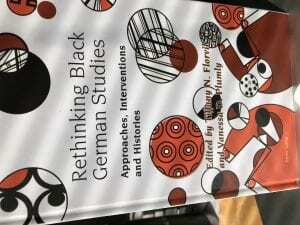 She articulates thta while the predominance of source text on and the visibility of Black Germans has been positive, there remains a dearth of scholarship and a silence surrounding Black Austrians. In connecting two temporally disjointed moments, Nenno signifies the overlapping layers of what it means to be Black in Austria in the past and present. She also helps to restore Black Austrians’ agential voice, demonstrating their significant legacy, presence, and political engagement in this predominantly white country” (23). This entry was posted in Uncategorized on October 19, 2018 by koernerm. This entry was posted in Uncategorized on October 8, 2018 by koernerm. Congratulations to Dr. Morgan Koerner, Associate Professor of German and Chair of the German and Russian Studies Program at CofC, who was elected to a 3-year term as the Southeast regional Representative to the Executive Council of the American Association of Teachers of German beginning in January 2019. This entry was posted in Uncategorized on October 5, 2018 by koernerm.